Ecopsychology looks for the roots of environmental problems in human psychology and for the roots of psychological problems in our dysfunctional relationship with the natural world. In 1963, Robert Greenway coined the term “psycho-ecology” to describe the intersection of psychology and ecology. He also coined the term “Wilderness Effect” to refer to the psychological impact of extended stays in wild nature. Following Greenway, a growing body of writers came to see that our relationship with non-human reality, even if largely unconscious, is one of the most significant facts of human life, and one which we humans ignore at our peril. For example, in his 1982 book, Nature and Madness, Paul Shepard argued that healthy psychological development requires that children be bonded to nature and adolescents initiated into its mysteries. He also argued that there is a kind of literal madness in our destruction of our environment. 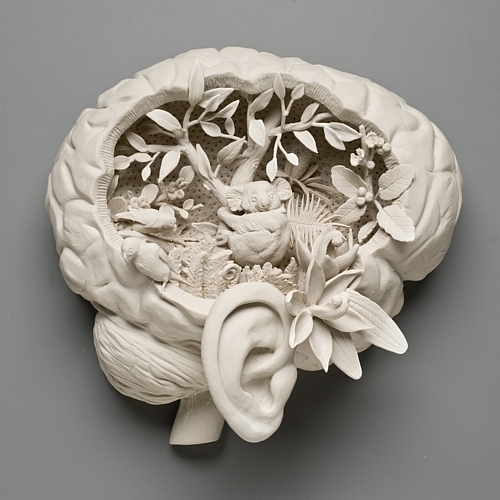 In The Dream of the Earth (1988), Thomas Berry described our relationship with nature as a kind of collective autism. And, in her book, My Name is Chellis and I’m in Recovery from Western Civilization Paperback (1994), Chellis Glendinning tied the human relationship with the environment to post-traumatic stress disorder and addiction. The core of the mind is the ecological unconscious. The contents of the ecological unconscious represent the living record of evolution. The goal of ecopsychology is to awaken the inherent sense of environmental reciprocity that lies within the ecological unconscious. The crucial stage of development is the life of the child. The ecological ego matures toward a sense of ethical responsibility with the planet. Ecopsychology needs to re-evaluate certain “masculine” character traits that lead us to dominate nature. Whatever contributes to small scale social forms and personal empowerment nourish the ecological ego. There is a synergistic interplay between planetary and personal well-being. Much of modern psychology assumes a divide between inner reality (mind) and outer reality (nature). The central problem of ecopsychology is to overcome this divide. The human mind does not stand wholly apart from the natural world, but is deeply rooted in and intertwined with it. Ecopsychology sees the human psyche as a phenomenon of nature, an aspect of the larger “psyche” of nature or “soul of the world” (anima mundi). By expanding the scope of psychology to include study of the relationship between humans and nature, ecopsychologists hope to give truer picture of human psychology. Ecopsychologists believe that our psychological well-being requires establishing mature, reciprocal relationships with the natural world. Direct encounters with the natural world foster mental health and facilitate healing of emotional trauma and recovery from addictions, reduction of stress and strengthening of self-confidence, as well as cultivating peak experiences and fostering spiritual growth. Ecopsychological practices also include working with the grief, anger, and guilt caused by environmental destruction. Ecopsychology overlaps with various ecologically-oriented psychotherapies (Gestalt, body-centered, Jungian, transpersonal), as well as wilderness rites of passage, nature-based soul work, neo-shamanism, deep ecological councils, and of court Neo-Pagan rituals and other spiritual practices for reconnecting with nature. Ecopsychologists also explore the psychological dimension of the current ecological crisis, and trace the destruction of the natural environment to a consumeristic, ego-driven, Earth-alienated psychology. What is needed, according to ecopsychologists, is a realization of our “ecological self”. We need to cultivate an experience of nature, not as a resource pool for human use, but as the larger community of life of which we humans are a part. In this way, ecopsychologists hope to promote more effective strategies for environmental action and lifestyles which are environmentally and psychologically sustainable.